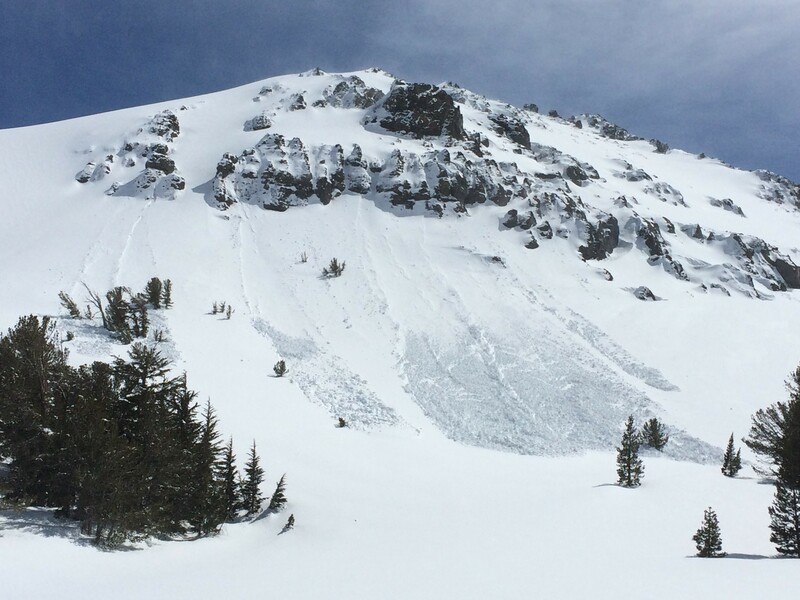 Details are limited for this Snowboarder triggered Wind-slab avalanche that happened sometime Wednesday morning in the Leavitt Cirque. I hope the panoramic & the next two photos show how serious this situation could have been. Based on known conditions & visual assumptions, it looks like for this snowboarder turn three compromised the 1-2' wind-slab & propigated a fracture across the slope +400'. The fracture stepped-down into an older wind-slab pulling out another pocket nearly a foot deep. The size & mass of the slide could bury a car & destroy a wood home, in the snowscience realm we would give this a destructive rating of D3(out of 5). Just focusing on the snowboarder (ARu) the avalanches size relative to potential slide path is medium with a rating of R3(out of 5). To code this avalanche HS-ARu-R3-D3-O = Hard-Slab; Unintentinally Snowboarder Triggered, Relative Size 3; Destructive Force 3; Broke Into Old Layers. 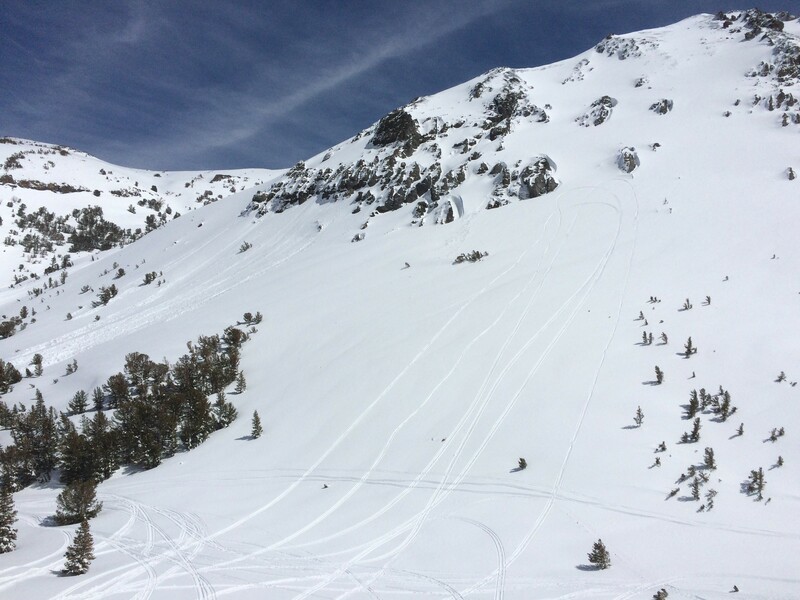 Across the BWRA Wet-Loose, Dry-Loose, Cornice Fall, & Wind-Slab Avalanches have been seen above & below treeline on all aspects. A report of a snowmobile triggered Wind-Slab avalanche in the trees pushed a rider & machine into a tree-well. 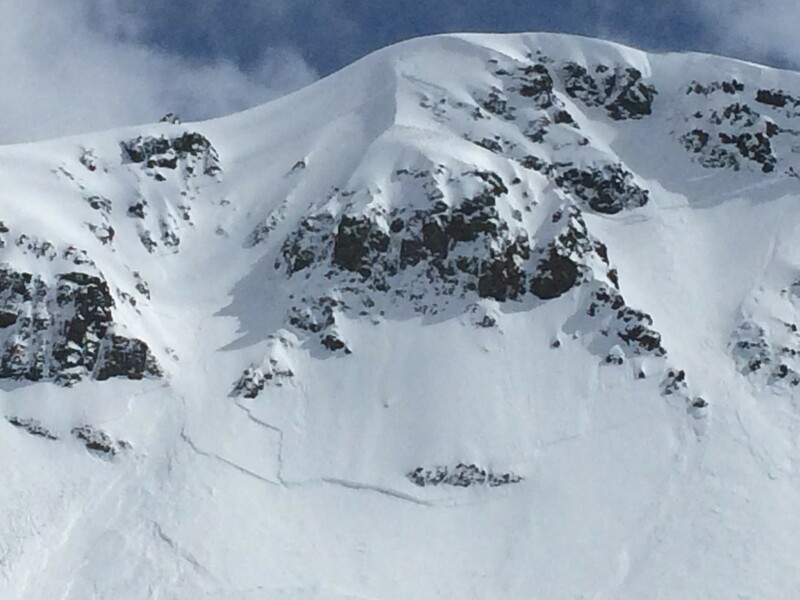 Avalanches are still happening out there & in large size & widespread quantity effecting skiers & snowmachiners alike. Don' take your Safety lightly, Being Lucky Isn't A Backcountry Strategy! 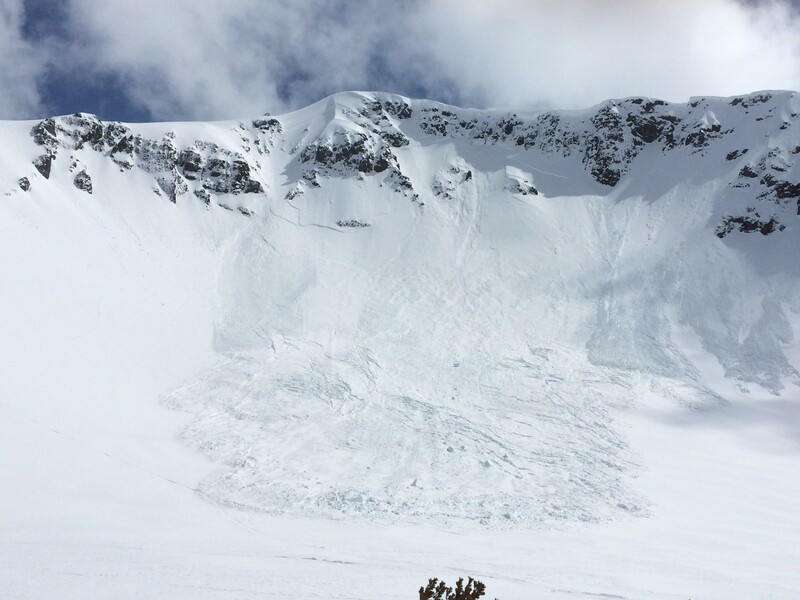 Rapid warming & direct sunlight on snow surface is allowing loose-wet avalanches to occur.